Home » FAFSA with a Felony: Are you still eligible? Do you have a misdemeanor or felony on your criminal record? Are you worried that your legal issues will ruin your FAFSA eligibility? Consequences of a criminal conviction can have a major impact on juveniles and college students. In some cases, they can strip you of any potential financial aid. These consequences differ based on your individual circumstance. Worried you’re no longer entitled to financial aid? In this article, we’ll cover common information about FAFSA and criminal records. Are you currently incarcerated or on parole? Afraid your previous drug conviction will prevent you from going to college? Before you panic, know that not every criminal case is the same. Some result in harsher consequences than others. Here are some common criminal scenarios and how they impact your financial aid options. If you’re on probation or parole, you may be eligible for FAFSA. The eligibility will differ though depending on your offense. A drug-related offense or sexual offense will most likely limit your eligibility. If you’re wondering if felons can get financial aid, you should know you won’t be eligible for a Federal Pell Grant or federal student loans if you’re in a federal or state institution. You may be eligible for a Federal Supplemental Educational Opportunity Grant (FSEOG), but your odds of getting one are low. This is because students who receive Federal Pell Grants have higher priority for grants. Your eligibility will differ if you’re not in a federal or state institution. You’ll be eligible for Federal Pell Grants, and FSEOGs, but you will not be able to get a federal student loan. Even though you’re eligible for an FSEOG, the odds of getting one are still low. Your eligibility limitations are usually lifted once you’re released from an institution. You can even start applying for aid while your release is being processed, so you get your aid by the time you’re released. Your eligibility is limited, however, for any drug-related or sexual-related offense. If you’re applying to job with a previous drug conviction, you may or may not be eligible for financial aid. As you fill out the FAFSA form, they’ll ask if you had a drug conviction for an offense that happened while you were receiving aid. FAFSA will then have you fill out a form to determine your overall eligibility. You can become re-eligible by completing a drug rehabilitation program or passing two random drug tests administered by a drug rehab program. If you do regain eligibility, you should let your financial aid know as soon as possible. If you’re convicted of a drug-related offense after you submit your FAFSA, you may lose your eligibility. In fact, you may have to return any financial aid you received. 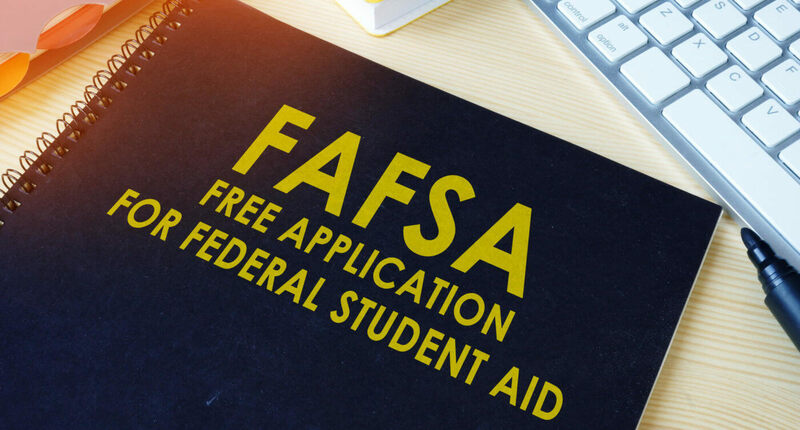 If you’re a student with criminal convictions, the government will most likely limit your FAFSA eligibility, but don’t panic. Instead, study up on your status and work with a lawyer or a financial aid office to see what financial aid options you have. ← Do you know what happens if you get caught with a fake ID?